Eleven years ago a serial killer menaced the Nettlebush Indian Reservation. Rafael Gives Light is his son. A loner, Rafael relies on his startlingly overactive imagination to escape the distrust and vitriol of his peers. In the summer of 2000 an exceptionally blond boy moves to Nettlebush. Rafael learns that the boy is his father’s last living victim. The boy wants to be friends. Rafael’s devilish sister Mary has returned to the Nettlebush Indian Reservation after a year of absence and a failed stint in a rock band. But the reason behind Mary’s triumphant homecoming is anything less than sororal: Mary has her sights set on Paul Looks Over, the man responsible for her father’s death. Nothing—and nobody—will stop Mary from staking a Blood Law of her own, a decision that will force Rafael to choose between his love for Skylar and his very family. I decided to review these two books together 1) because I read them back-to-back and 2) I have a very similar reaction to both of them. Here’s where I stop for a GIVEAWAY! If you haven’t read this series yet, comment on this review for a chance to win books 1 & 2. If you have read this series, comment on this review for a chance to win books 5 & 6. I had a really tough time with these books in that I’m not sure how I felt about them as a whole. I love Rose Christo’s ability to tell a lovely story down to the very last detail. And Skylar St. Claire is quite possibly one of my favorite characters of all time. I ADORE this boy so much, my heart overflows. Seeing Skylar through Rafael’s POV is quite simply one of the most stunning and amazing examples of love. 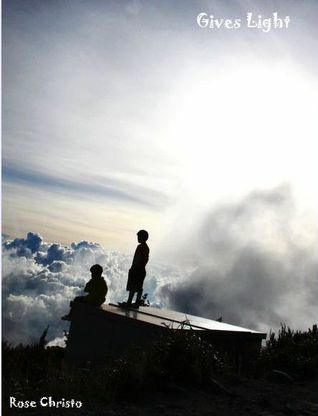 This boy LOVES Sky…he loves him with EVERYTHING in him. And it’s described in the most beautiful and simplistic ways. Pure. It just IS that way, plain and simple…Raf loves Sky and the world makes sense. 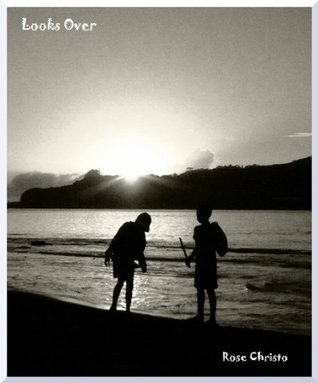 It was marvelous and touching to read. And finally getting into Rafael’s head…his self-loathing, his overwhelming lonliness before Sky came into his life, his transformation bit by bit as Skylar’s love healed him…I cry just thinking of it. Yes, it’s VERY innocent. And yes, these are teenaged boys we’re talking about. But, I loved the basic goodness in all of it…and I thought the chastity of it did not take away from the credibilty. But rather, it added to the emotion and to the environment that was the Nettlebrush reserve. The full cast of characters is present again…more of Uncle Gabriel in these books, which I appreciated. I so very much respect that man. And getting to read Rafael’s take on the people around him was hilarious…while laced with a tiny bit of sadness. 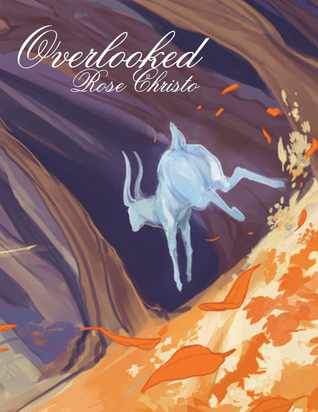 Rose Christo really knows how to touch your emotions without trying to manipulate them. ALL THAT BEING SAID…some parts of these books were just WAY too purple and WAY too descriptive and WAY over the top with scenes and nature and mystical visions…I couldn’t get through it. I actually skimmed huge chunks of both of these books! I put my brain in FFW mode until I got to actual bits of story and plot or recollection or thought…but truthfullly barely even skimmed the rest. So, I’m torn. The good parts? ALL THE STARS. The rest? Skim generously. In a nutshell, if you’re a fan of the series, you can’t NOT read these books. There are such amazing nuggets in them if you’re patient enought to find them. A MUST read (and also a MUST skim). Book 6 already, wow! That’s great for the fans. I wish I had liked book 2 more after the mindblowing first one. This would’ve been a wonderful long series to look forward to then. Thanks for the informative review. I have read books #1-#4 and loved the series. I agree that Skylar is a wonderful character. I’ve only just begun my journey into Rose Christo’s writing by reading the amazing The P.lace Where They Cried last month and had grabbed a few more from her at the time, but this series wasn’t one of them. Since then, I’ve read a lot of positive things about these books, and it’s on my wishlist already. Thanks for the chance to win 1 and 2! Don’t skim! I mean, maybe skim. It really is a matter of personal taste. I just wouldn’t want those who do like pretty, slightly surreal prose to think that it needs to be skipped. Sometimes it comes across as a bit purple, yes, but there are passages of beautiful, descriptive writing of a quality I almost never see in m/m writing. Sure, maybe you’re not looking for lyrical magic realism when you think you’re reading a gay teen romance, but a) Christo’s books have never just been that and b) it’s too damn good to skim. The passage at the end of book 6 with Rafael and his sister is just incredible. I haven;t read the series yet but it sounds really interesting. Thank you for the giveaway! I’d like to read the books, thank you!!! 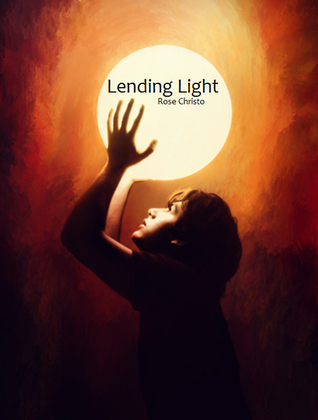 This entry was posted on November 25, 2014 by BioB in Giveaway, Reviewer: Susan, YA / NA and tagged 3 Stars, giveaway, gives light, rose christo, self-pub.